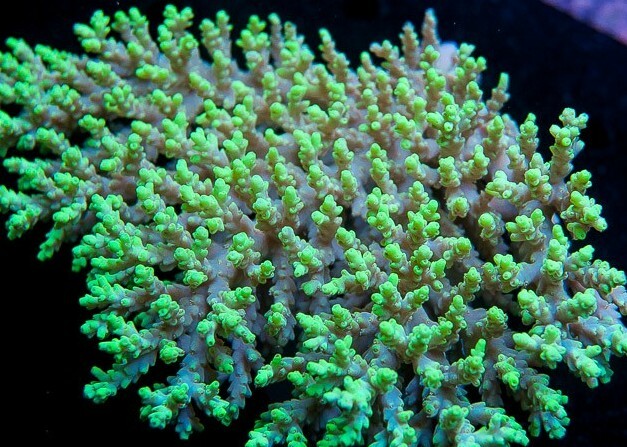 A bright green Acropora specie with rounded thick-walled corallites and distinctive polyps. Lighting: Bright lighting of the proper spectrum such as that provided by the Orphek Atlantik. Water flow: Moderate to strong. Feeding: Periodic feeding of phytoplankton, calcium, strontium, and magnesium supplements. Feed only when polyps are extended.